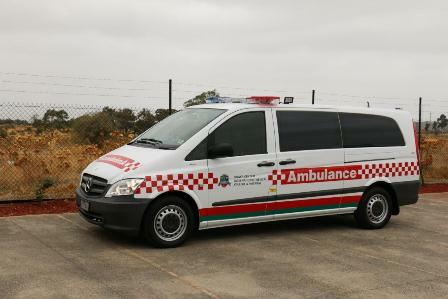 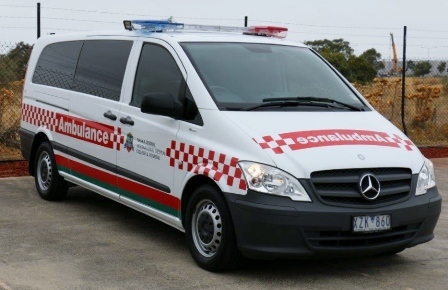 Based on a Mercedes Vito Long Wheel Base, the ambulance is to be used in a private hospital as a patient transport vehicle. 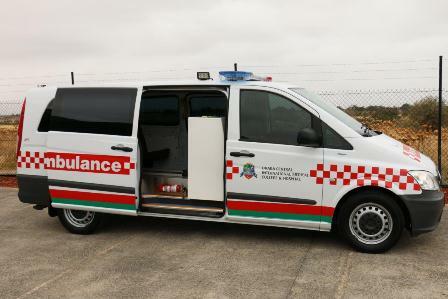 The ambulance conversion includes the latest LED external warning lights and interior lighting systems for ambulances. 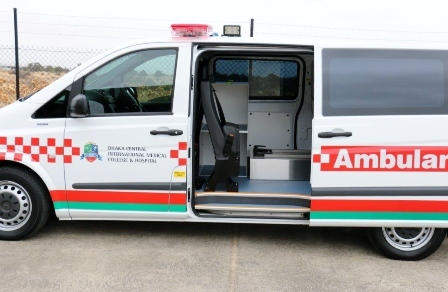 A single “Stryker” stretcher is included on the off side complete with loading platform and rescue board storage compartment within. 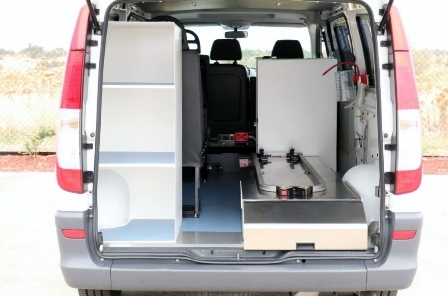 Beside the stretcher position on the near side is a forward facing attendant seat while immediately in front of this is a “fold-away” rear facing attendant/passenger seat. 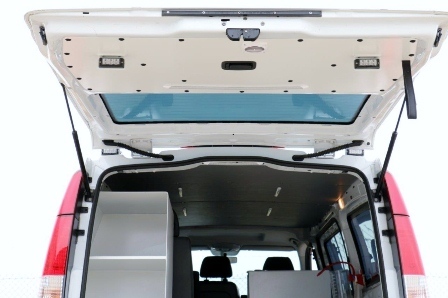 Suction and oxygen systems are included along with a Grab’n’Go equipment locker at the rear door and a general storage compartment behind the driver’s seat. 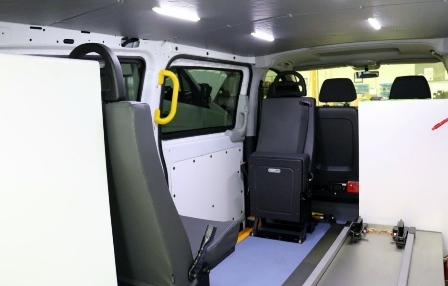 The rear patient compartment is fully lined and sealed to ensure ease of cleaning and maintenance.